I urge you to go back to last year at this time and read your own blog. See the progress and achievements you have made and rejoice in them. Life IS good but out macro-view of daily life prevents perspective. Heather.....You and your kids are very blessed to have family to spend the holidays with even though David & his family won't let you back in their lives. Let me tell ya how my holidays have been the last 2 years since my Dad passed away last October. My Dad was the glue in our family. Every Thanksgiving, my sister, Fran, Stan, and Dean-o (born in 2007) would come down for a week to spend the holiday with us. Fran & her family couldn't come last Thanksgiving since they were here a month before for my Dad's funeral. 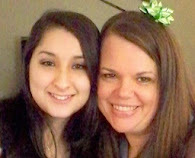 My daughter, Krissy was in rehab until April this year. She moved back to MI when she was released and now works as a CNA & goes to NA meetings everyday. She could not afford to come down this year. We would spend all CHRISTmas' together without Fran & her family because they would have Stan's family over to their house. Last year, I thought we should be together during the holidays because we had just lost our Dad. Between my brother, Jeff and my sister, Sharon, & I, I was out voted 2-1 that we spend the holidays separately. I was hurt and felt alone. Yeah, I had Den back then but not spending it with family was incomprehensible to me. I ended up going to a church for dinner. I'm tear-eyed now just talking about it. This year's Thanksgiving was spent alone (Den & I are separated). Again, I went to a church for dinner, went to sit down and slipped right off the seat and injured my bad knee and wrenched my bad back. Fran couldn't afford to come down. All we did for CHRISTmas was go out to eat on CHRISTmas Eve day. That took what....2 hrs. Again I spent CHRISTmas alone. People don't know what they have until they lose it. Count your blessings Heather as far as family goes. Ya know when I was younger, I use to have a fantasy that my grandparents & parents would always be here for my whole life. Boy I was in for a shock! When you're a kid, you don't think of death so when I lost my Grandpa in 1990, I was devastated. I'm so glad you had a wonderful CHRISTmas even though you weren't feeling well. I wish you a Happy New Year & I know it will be better than 2009. I really wanted to tell you to come on down Christmas and just have David deal with it but I did not want things to be hurtful for you, you have been through so much. I enjoyed seeing the kids but the good spirit was just not there. My hope and prayer is that our family can be like it used to be and I think if we keep praying about it God will let it happen in his time. I would love for our family to be back where it used to be before I have my surgery, I have bad feelings about the surgery for some reason. I read your blog from this time last year! and I just want you to know, Aunt Heather, that you are amazing! Don't ever forget that either! I can't wait to have girls night soon! (idk if friday will work but I know some time this week WILL work!) I love you!